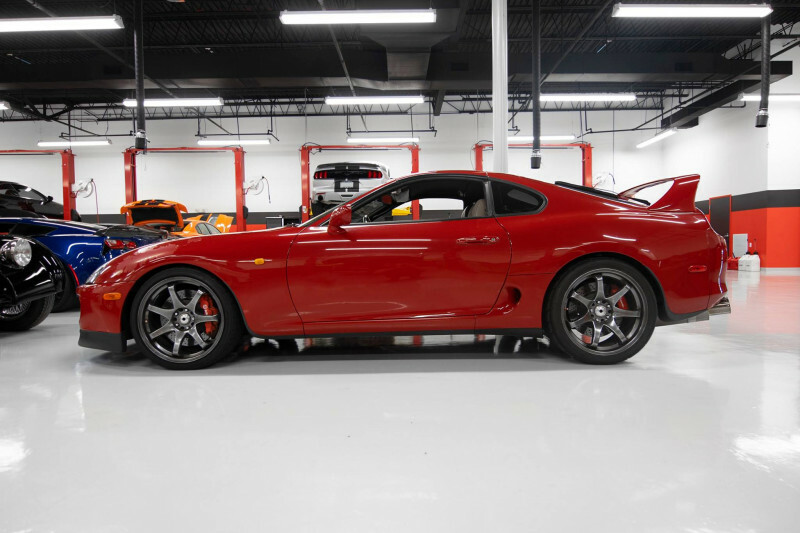 Sean’s Super Red 1995 Toyota Supra Turbo is wrapped up, dialed in, and ready to hit the road! Back in the early-2000s, this car was originally built by a legendary Supra shop of the time — this round, we gave some of the early-2000’s period correct aspects of the build a facelift. Up first, we replaced the touchy quad-disc clutch for a far more streetable OS Giken TC Series twin-disc, installed updated timing components from Powerhouse Racing, refreshed the hydraulic system with OEM Toyota components, installed a MoTeC TCMux to allow for effective traction control calibration (because single-turbo Supra), and addressed an uncontrollable boost creep issue with a new turbocharger manifold from BP Autosports, LLC. 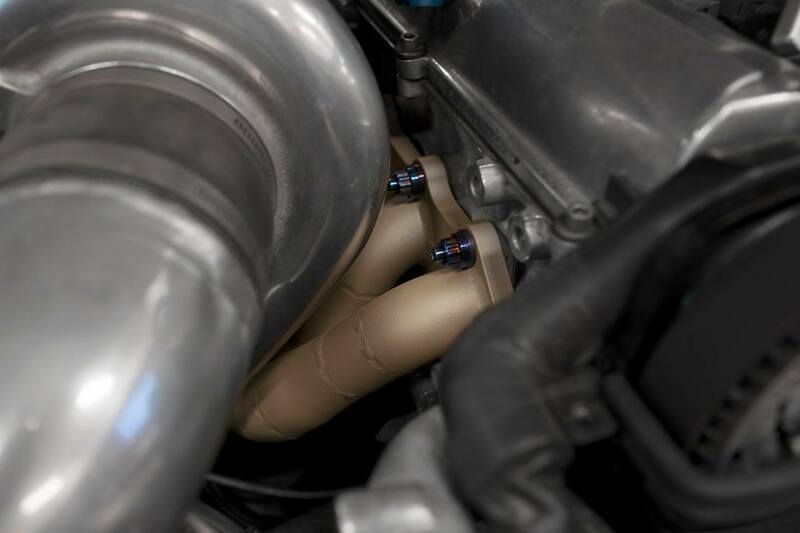 (Ceracoted by our friends at Detective Coating), dual MV-S wastegates from TiAL Sport, and custom fabrication necessary for a clean installation. With all the mechanical work wrapped in the shop, she hit the rollers to get dialed in by Vlad via MoTeC M600! 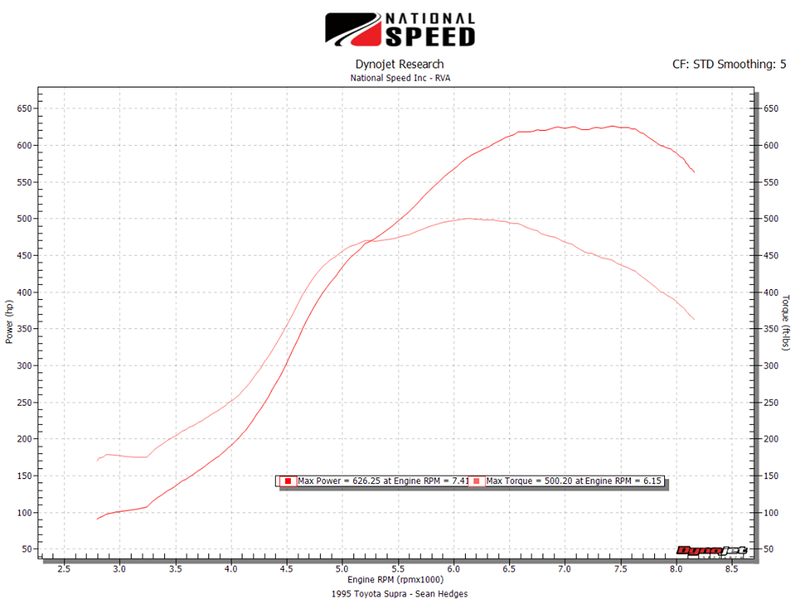 On 93 octane, Vlad capped the boost pressure off at ~18psi, generating 626.25whp & 500.20lbft! For a daily drivable Supra, these numbers are absolutely perfect for pump gas! Stay tuned for race gas numbers to come!